This is a sponsored post on behalf of Foster Farms, who's helping us eat healthier with their new Baked Chicken Breast Tenders, Nuggets, and Fillets. We all have those nights. Soccer or little league runs late. You have to work late at the office. Or, like many of us face in Southern California, traffic is a bear and it takes hours to get home. Whatever the reason, there are those nights you need a quick and healthy meal at home for your family that is easy to whip together and easy to clean up. 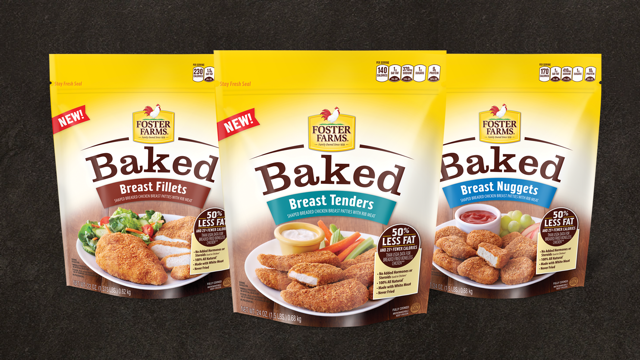 Thankfully, there's a new option when it comes to eating healthy at home, Foster Farms Baked Chicken Breast Tenders, Nuggets, and Fillets, with 50% less fat and 25% fewer calories than fried chicken. Best of all, all Foster Farms chicken are 100% all natural chicken with no added hormones or steroids and made with white meat. Because they’re fully-cooked you just take them out of the freezer and heat and serve in under 12 minutes in the oven, or 2-3 minutes in a microwave. 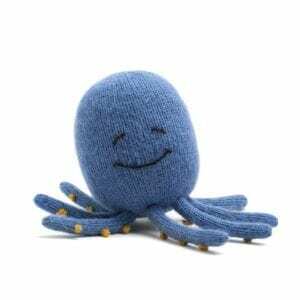 Now, more than ever, we are all trying to save time in the kitchen. Foster Farms is doing their part to help make eating healthy quick and easy, and in partnership with Foster Farms, we're sharing our best time saving dinner tips below to make cooking for your family a breeze. We all know how tasty and convenient it is to serve kids (and for that matter adults!) 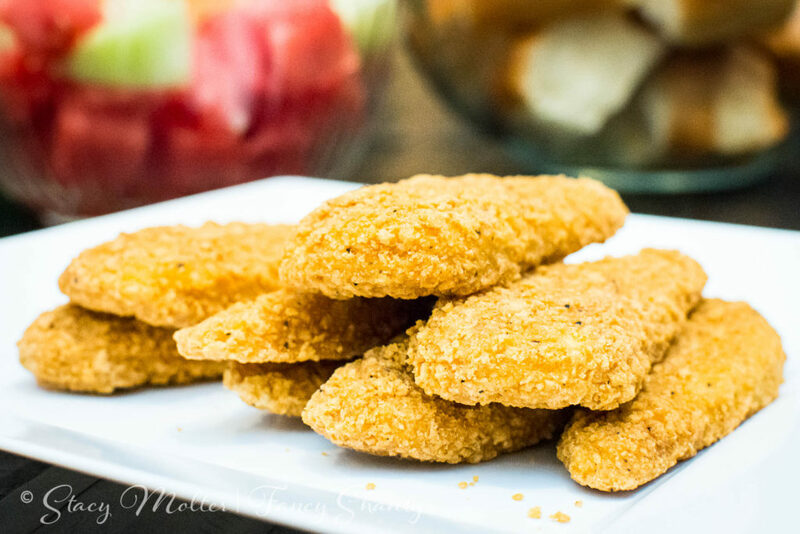 frozen chicken tenders, nuggets, and fillets for mealtime or snack time. But wouldn’t it be great if you could serve ones that weren’t FRIED? Of course, it would. And the best thing about serving chicken, probably the reason we love to serve it so often, is that chicken is so universal. Sure, you can serve baked chicken with traditional sides like vegetables, pasta, bread, and fruit, but have you ever thought about how endless lunch and dinner possibilities with baked chicken? They are! Chopped up in a salad. Tossed with your favorite sauce. With waffles for a fun, protein packed breakfast. And with as much as I love to mix things up during meal time at our house, our kids still love to eat their chicken straight out of the oven. Foster Farms Baked Chicken Breasts not only cook up moist and juicy on the inside, they remain crunchy on the outside, just the way our kids like. 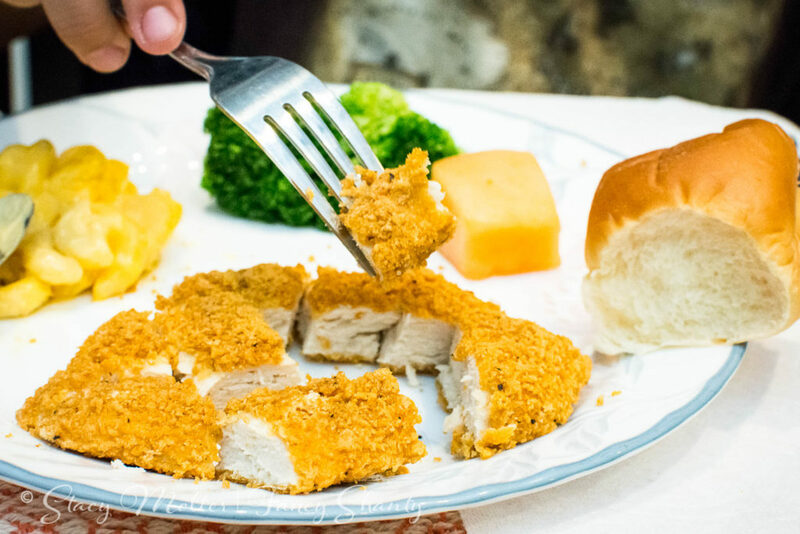 Beyond cooking with our favorite Foster Farms baked chicken breast tenders, nuggets, and fillets, here are a few of our best time saving dinner tips to help you through those crazy busy nights. With these tips, you're sure to have dinner and clean-up done in a flash so you can do what's most important, spending time with the ones you love. Plan ahead. On the weekends take inventory of what is in the pantry and fridge then plan the meals for the week. If needed, make a list and go to the store. Use healthy convenience, quick cook, and frozen foods. Reduced sodium and/or no sodium beans quick-cooking whole grains like quinoa are high in fiber and a staple in our house, while frozen vegetables deliver more nutrients since they are picked and frozen at the height of ripeness. Plus, frozen vegetables let you enjoy many out-of-season favorites any time of year. Think big. Why prepare one meal when you can make two or three? Try making a double or triple batch of your recipe to use for lunches and dinners later in the week. Have a backup plan. Life happens. We get it. Having healthy proteins, vegetables, and pasta in your freezer will help you quickly pull together a delicious meal anytime. One of our favorite healthy proteins to have on hand is Foster Farms Baked Chicken Breast in tenders, nuggets, and fillets. Clean as you go. Since clean up is the worst part of cooking, remember to clean as you go. Simply fill the sink with warm, soapy water, and as you finish with dishes, slide them into the water. They'll be easier to clean at the end of the night. 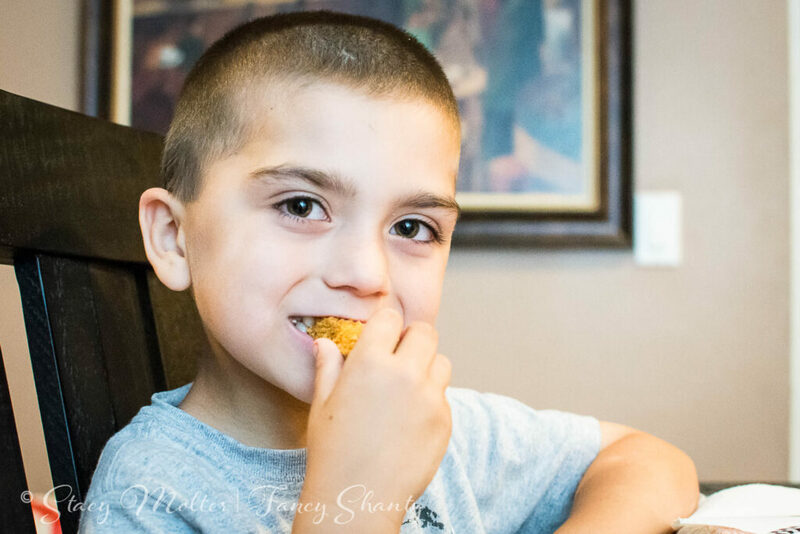 The new Foster Farms Baked Chicken Breasts are absolutely delicious and I know your kids will love them as much as ours do which is why we are so excited to offer this giveaway. 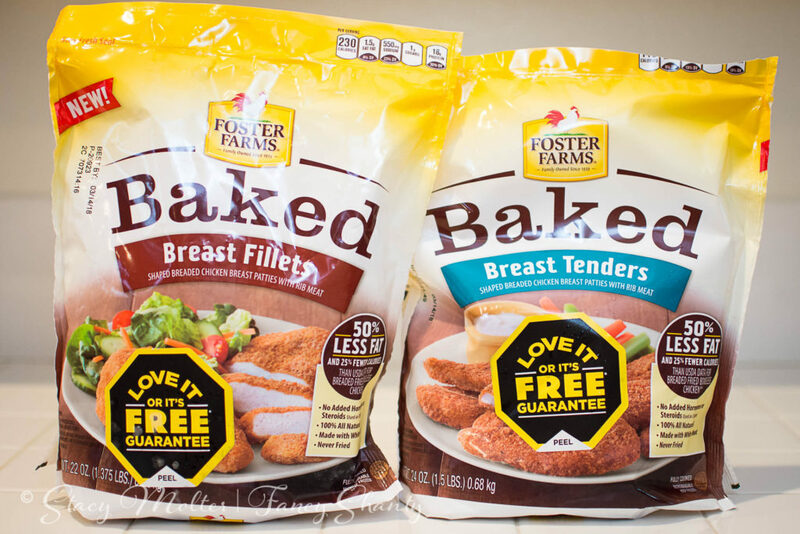 Now, through April 30th, you can enter for a chance to win $60 in Foster Farms Baked Chicken Breast coupons. 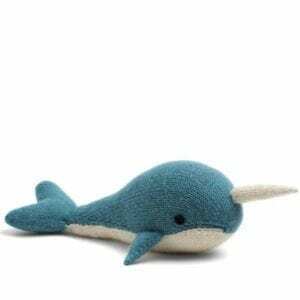 The product is only available at participating retailers on the West Coast currently. To enter, simply follow the instructions in the giveaway widget below. Best of luck to all who enter! Want to share your best time saving dinner tips with our readers? Leave your tips in the comments below.